Our organically crafted Chocolate Mint Hydrosol is steam distilled from crisp, fragrant Mentha x piperita Chocolate leaves that are grown and cultivated in USA. 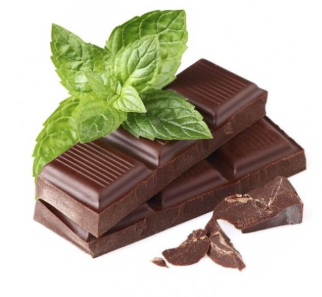 Chocolate Mint can be differentiated from the regular Peppermint with the pretty brown hue on its stems and an aroma that's reminiscent of an Andes Chocolate Mint, a popular confection. The aroma of Chocolate Mint Hydrosol is fresh, minty, with hints of chocolate. Its uplifting aroma with a delicious combination of minty and chocolaty flavor is very refreshing and energizing and can help with mental clarity and finding peace.